With very clever and meticulous design is successfully awarded Centinox sink, is well suited to complement the kitchen in . 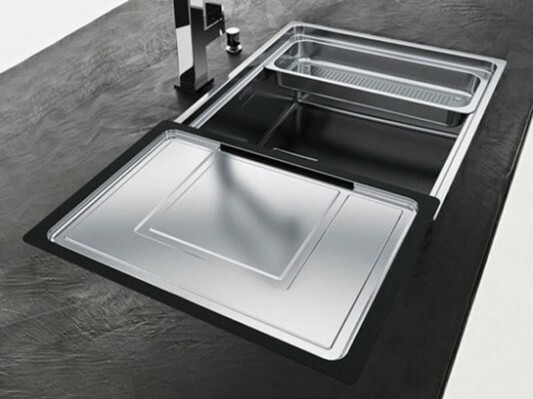 Centinox kitchen sink by Franke offers a perfect balance between aesthetics and functionality of the kitchen. With a professional kitchen design and style, will make a significant element of the kitchen. Two levels of the perimeter of the sink will give a step to be able to put all the accessories that look effective sink space. 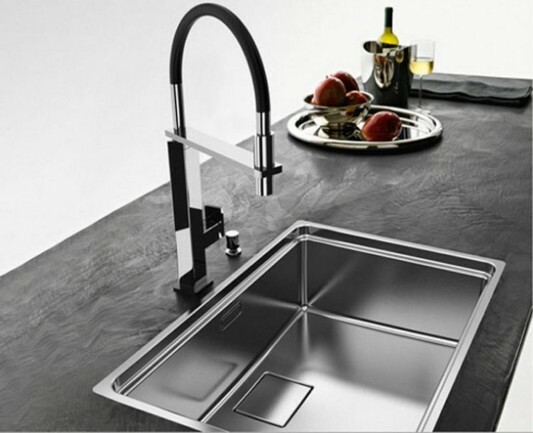 Surface decorated with a stainless steel sink and faucet styles concave on the water in order to create a modern style. Mixer is made entirely by using stainless steel, the sink is also available pull-down rotary spray jets that can complement your contemporary kitchen. It is a multifunctional sink, ideal to maximize your kitchen space, and improve efficiency. Visit the site to see more collections by Franke.